A Land Cruiser the EACC seized in a probe on Garissa Governor Nathif Jama, December 15, 2017. EACC detectives on Friday impounded a Land cruiser vehicle, alleged to be among 27 vehicles procured by the Garissa county government for Sh186 million in 2015. 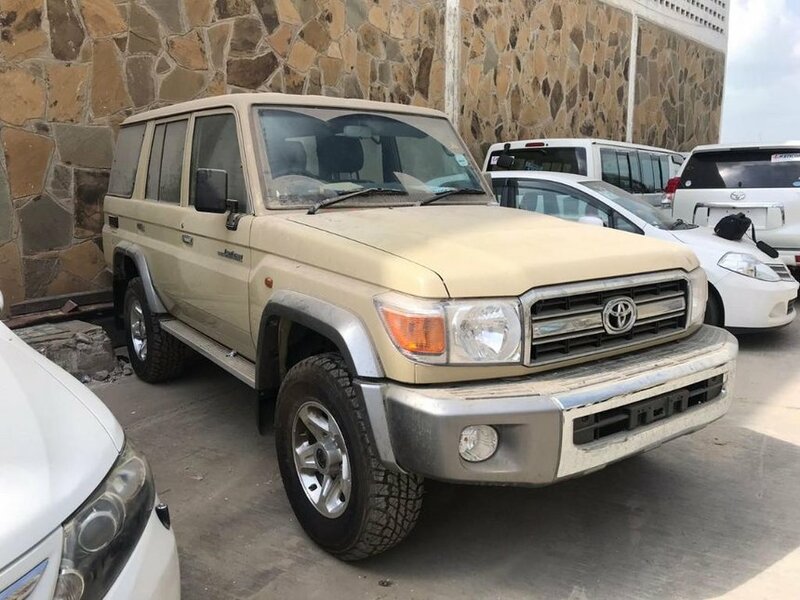 Documents obtained by the anti-corruption agency show that the Land Cruiser, worth over Sh9 million, remained uncollected at a Container Freight Station near Mbaraki area, Mombasa. A Nairobi-based firm identified as Alama Trading Company, owned by Ibrahim Kontoma, was awarded the tender to supply 27 vehicles including Pajeros and Prados from Dubai. The company obtained the vehicles but they were reportedly never delivered to the county government. EACC said Governor Nathif Jama’s administration inflated the coast and paid Sh246 million for the vehicles. Commission spokesperson Yasin Amaro said they are investigating several senior officials from Garissa county’s Procurement department. He said EACC has already written to the Container Freight Station demanding the Land Cruiser to be impounded until their probe is complete. Amaro said the clearing agent paid a sum of Sh1 million for clearance of the vehicle in January 2015 but it remained in the warehouse. “Investigations are still going on to establish circumstances under which the vehicle continue to be detained at the warehouse with all the monies paid for,” he added. He said EACC is also seeking to establish why the cost was inflated. In July, Nathif dismissed claims that he has pocketed Sh5.2 billion from his administration’s coffers. He accused EACC CEO Halakhe Waqo was being used by his opponents to frame him.